Perfect prize for school or church carnivals! Feel like you just stepped out of a cartoon with this inflatable hammer. 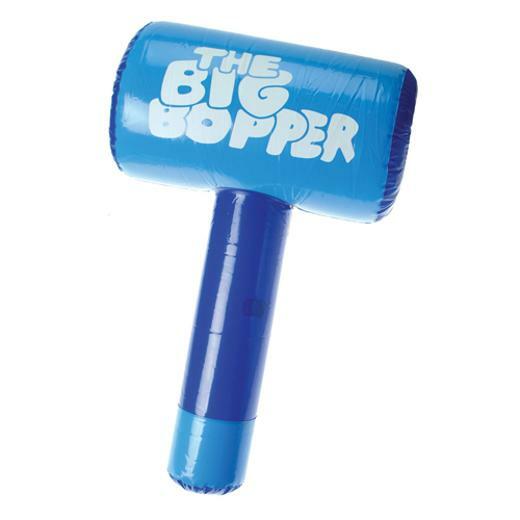 Big Bopper is imprinted on the side of this inflate, making it a great prize for the school carnival or give them to the kids as party favors and unleash the fun. Perfect for the pool and beach play. L: 8.05 in. W: 1.5 in. H: 10.1 in.